Never Enough Nails: Lynnderella Friday, Vol. 21! OK so who did some Black Friday shopping this morning? I refuse to leave my house on Black Friday (I don't want to get trampled LOL), but I did do some online shopping. Lynnderella is having a Black Friday sale, as is Vapid Lacquer, so I got some pretty goodies from both. Lynnderella has 25% off a TON of polishes on lynnderella.com and lynnderella.storenvy.com, so make sure to check that out. Today I have two new Lynnderella LEs for you, starting off with Lynnderella Malted. 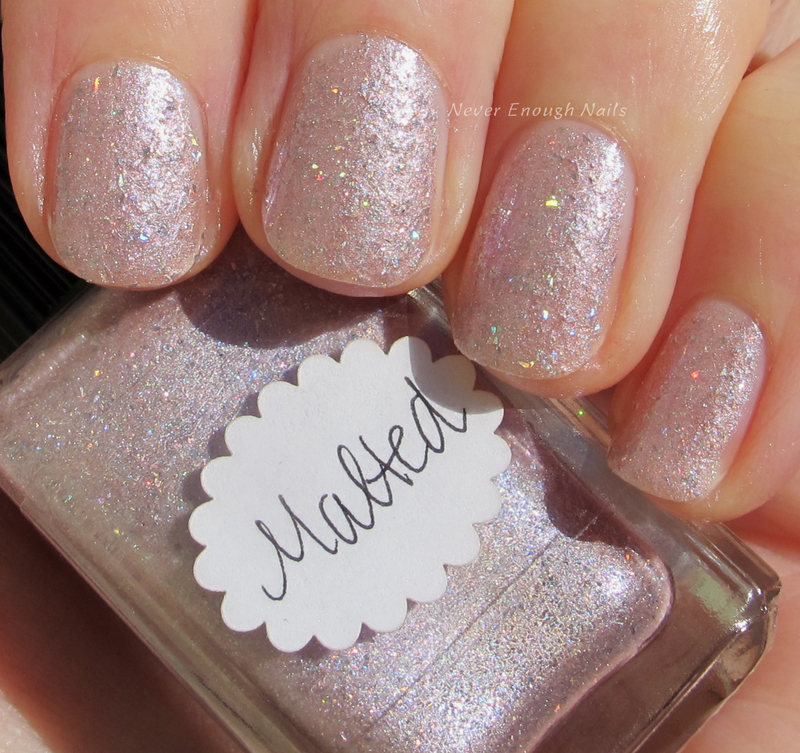 Malted is a unique shimmery pinkish taupe with tiny holographic flakes. It has a soft lilac glow at certain angles too. This is a different take on neutral for sure! This is three thin coats of Malted. I still had a little VNL after the first two coats, but the third one made it pretty nicely opaque. 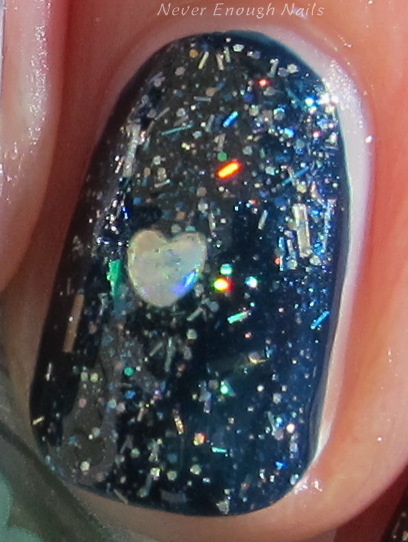 It applied well, the holo flakes lay nice and flat. 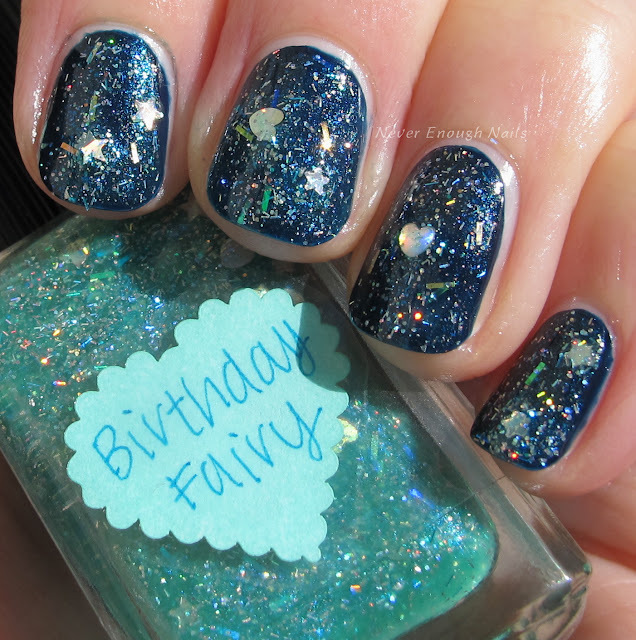 Lynnderella Birthday Fairy has a translucent minty green base with tons of iridescent shimmer, holo glitter, and silver holo stars and mini hearts. 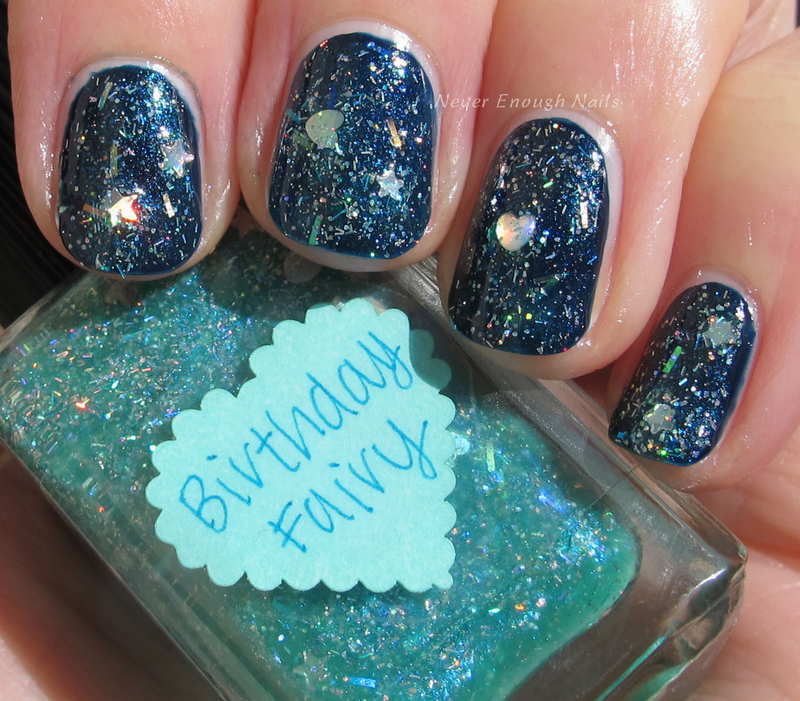 It is a real party for your nails! It also has teeny bar glitters, which I usually don't like, but they are really pretty in this polish. I think because they are all holo, so they end up just flashing rainbows all over the place. Plus, they are very small, so they don't stick up or hang off the edge of your nails at all. 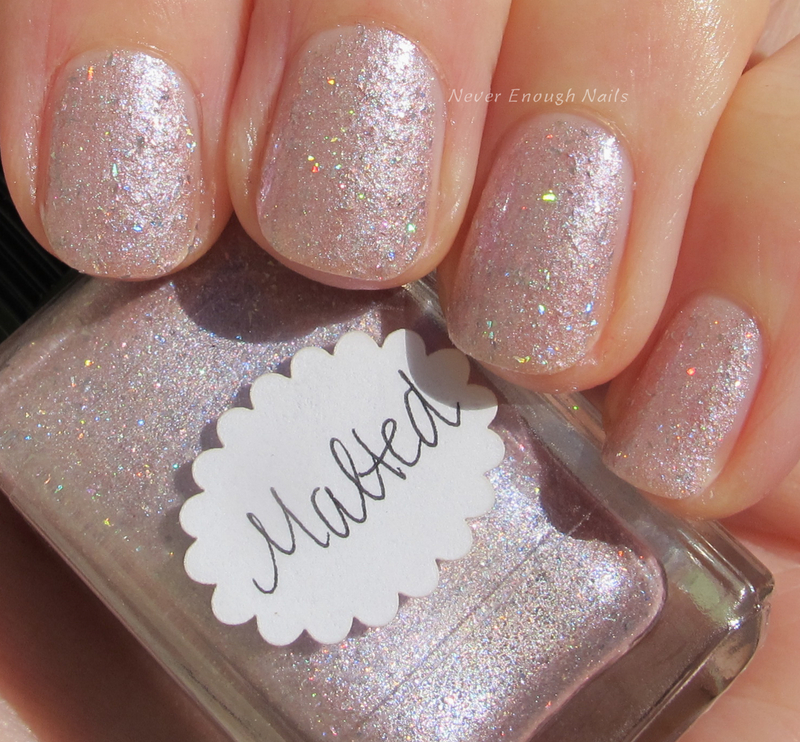 This is just one dabbed coat of Birthday Fairy over OPI Incognito in Sausalito. It has a ton of glitter, but it was easy to apply with the dabbing method. I wanted to show you my Thanksgiving mani too! I'm still wearing this and loving the combo! It's Lynnderella If Wishes Were Turkeys... over OPI Rollin in Cashmere. I hope my US readers had a lovely Thanksgiving and if you are out Black Friday shopping, be careful! If you got any nail polish/makeup from the online sales, LMK what you got! !